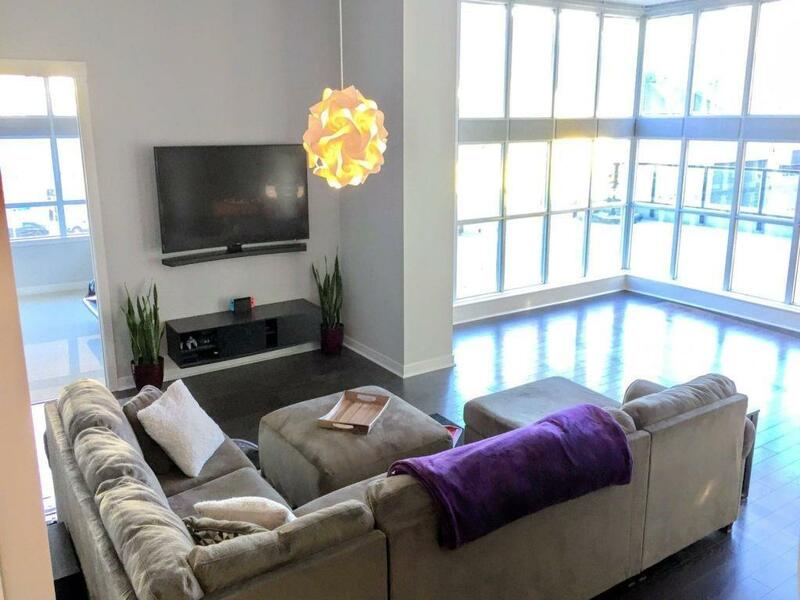 This LUXURY CONDO boasts 1316 square feet living space, 11.5' ceilings, and an UNBELIEVABLE 800 square foot PRIVATE balcony! This ENORMOUS balcony is spacious enough for multiple patio sets, a hot tub, and a barbecue, and offers BREATHTAKING views of the city. The interior features a BEAUTIFUL OPEN CONCEPT design with LAVISH FLOOR-TO-CEILING windows. 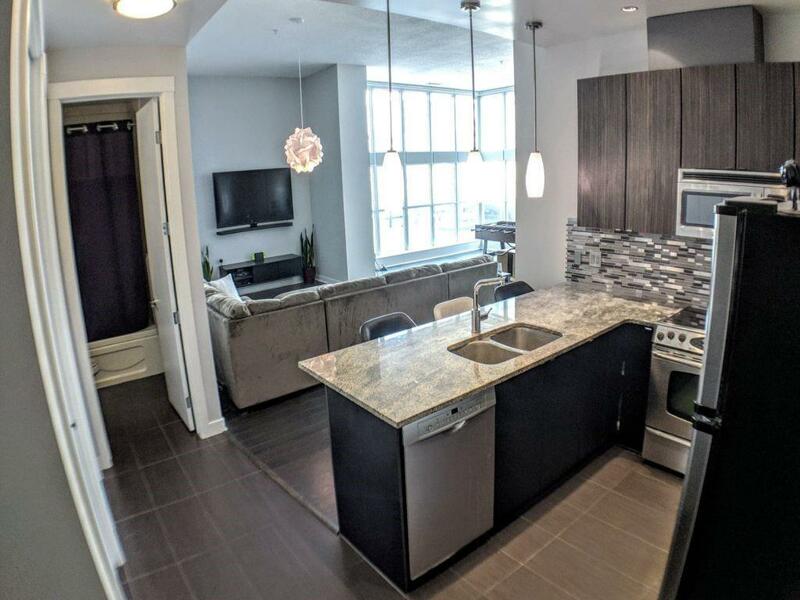 Get lost in the space of TWO LARGE BEDROOMS, WALK-IN CLOSET, DEN, and TWO FULL BATHROOMS with heated floors. The den is large enough to be used as a third bedroom. 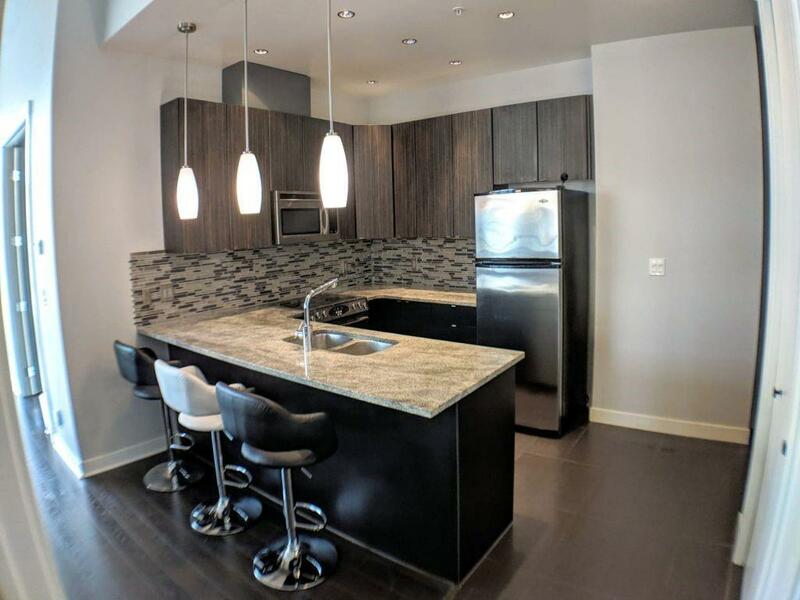 The GLAMOROUS kitchen includes GORGEOUS stainless steel appliances highlighted by STUNNING granite counter tops with tile floors and back splash. In-suite washer and dryer. 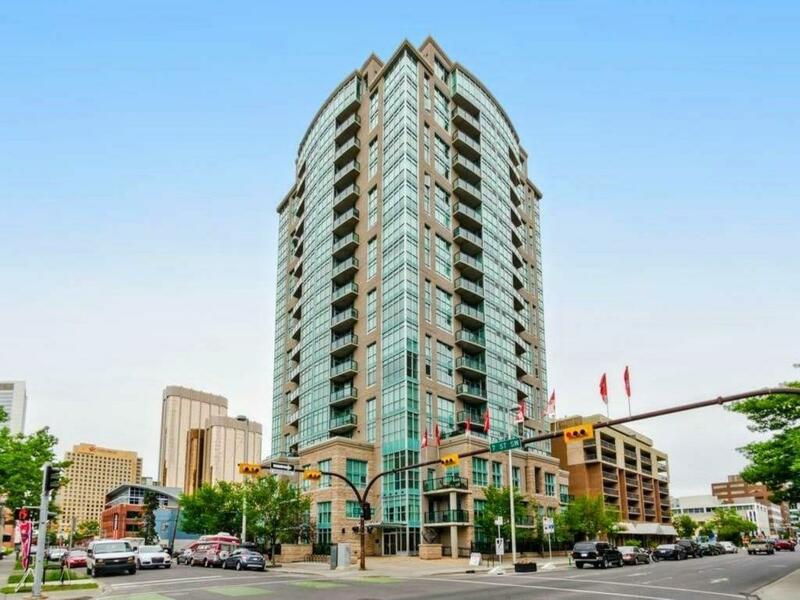 Included heated underground parking stall, visitor parking, and storage unit. Ample building security. Grocery stores within walking distance. Additional parking stalls available for rent at $200 monthly.